Like many others, Robin Williams’ death is having an affect on me. It’s not that he’s gone. He was 63. People die. It’s the fact that he was so sad that he had to end his own life. That’s what’s disturbing to me. But thinking back, I feel like this has been visible for decades. Not that he’d commit suicide, but that he was deeply troubled and sad, and that humor was a temporary high that pulled him out. As someone said on TV today, he may have just got tired of the struggle. My biggest takeaway is that you don’t mess with depression. It’s nasty. It’s evil. It’s overpowering. You take it seriously when you see it. You don’t let it go. A second observation has to do with fame. There is a possibility that his lack of fame from recent roles played a part in this. He’s referred to it in interviews, that fame goes up and down and such. Perhaps he was depressed because he wasn’t on top? If that was the case then there’s more to say about the perils of fame, and how it can become a new baseline of happiness, similar to a hard drug. In that case, my recommended treatments of astronomy and literature would likely have been able to help. Perspective is essential to happiness. Being able to reset your mind’s requirement for happiness to the basics. Food, shelter, friends, and enjoyment of basics like laughter and ice cream. If you can do that you can get through most things. And fame and drugs mess that up real good. Anyway, I don’t know that this was a major contributor, but I hope it wasn’t. Either way it’s horrible. 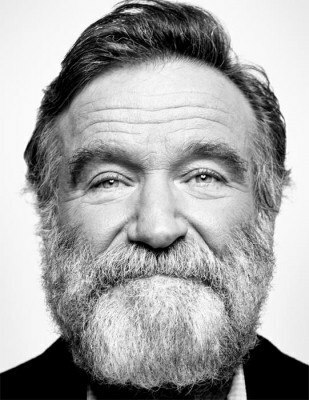 Good Will Hunting is one of my all-time favorite movies, and Dead Poets Society is high up there. I also really enjoyed his stand-up. Extremely high energy. Lots of impressions. He just seemed like a genuinely nice guy, but sad. I wish we could have done more for him. Look for people in your life who may be in similar situations, and don’t let this happen to them. Respect depression for the foe that it is.